We already know that the latest Raspberry Pi 3 is a powerful little pocket PC, but the $35 mini PC equipped with artificial intelligence or AI has this week beaten tactical experts during an air combat simulation. 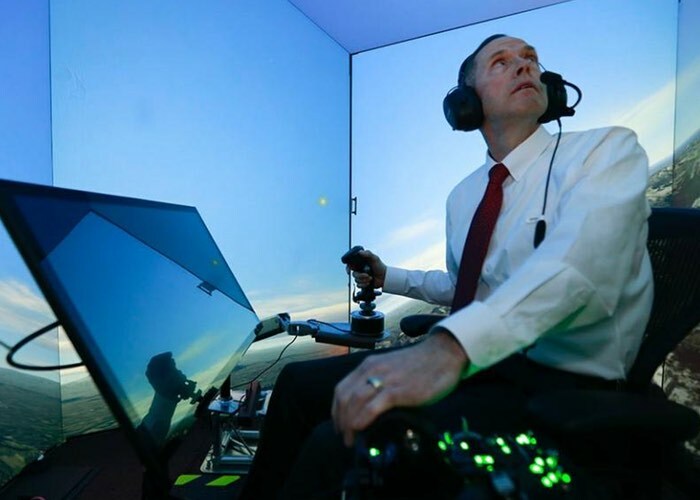 The Raspberry Pi artificial intelligence software named ALPHA, was pitted against retired United States Air Force Colonel Gene Lee, during which the computer and human battled it out in a series of simulated engagements. With the Raspberry Pi beating Lee in every single one. Lee described ALPHA as “the most aggressive, responsive, dynamic and credible AI I’ve seen to date.”ALPHA has also beaten other expert fighter pilots and is being hailed as a significant breakthrough in unmanned flight AI software. Check out the video below to learn more about the flying simulator used and the engagement. I was surprised at how aware and reactive it was,” Lee said. “It seemed to be aware of my intentions and reacting instantly to my changes in flight and missile deployment. It knew how to defeat the shot I was taking. It moved instantly between defensive and offensive actions as needed. You might have gotten shot down once in awhile by an AI program when you, as a pilot, were trying something new. But, until now, an AI opponent simply could not keep up with anything like the real pressure and pace of combat-like scenarios. ALPHA would be an extremely easy AI to cooperate with and have as a teammate. ALPHA could continuously determine the optimal ways to perform tasks commanded by its manned wingman, as well as provide tactical and situational advice to the rest of its flight.